Every summer, we open our doors to guests from the Hong Kong Institute of Vocational Education (IVE), a member of the Vocational Training Council – the largest vocational and professional education and training provider in Hong Kong. This year, we welcomed 24 students aged 18-20 and three members of staff. The students are enrolled on Hong Kong’s Higher Diploma in Building Studies, Higher Diploma in Surveying (Quantity Surveying and Building Surveying) or Higher Diploma in Building Technology with Interior Design. 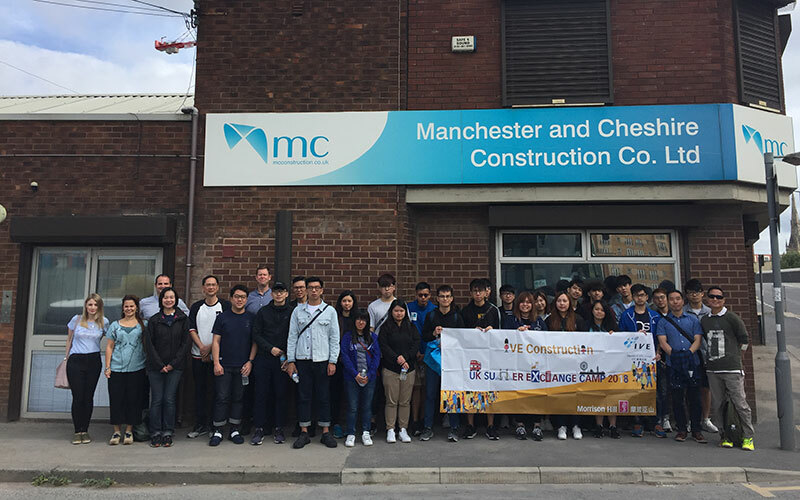 Their trip’s purpose was to learn about the construction industry in the UK. Understandably, the Hong Kong education system focuses largely on new-build structures and high-tech infrastructure. A surge in population growth from the 1950s meant most traditional buildings were demolished in the 1970s and ‘80s to enable the high-rise tower blocks that make up Hong Kong’s iconic skyline today. 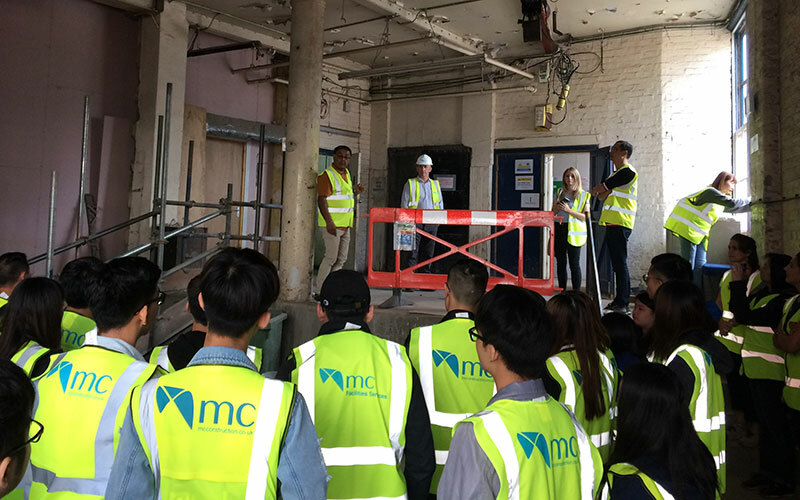 We introduced students to the practice of restoration and conservation of heritage buildings using our project at Manchester House, on Princess Street in the city centre – a former textile packing and shipping warehouse built in the early 1900s. Having completed external repairs and redecoration, we are now undertaking the second phase of works which will serve to enhance many of the original features. The morning began with an introduction to the company by managing director Dave Lowe, followed by a short film entitled Built on Trust about the values inherent within the business. Operations director Michelle Richardson then introduced the Princess Street project and the construction challenges it presents. 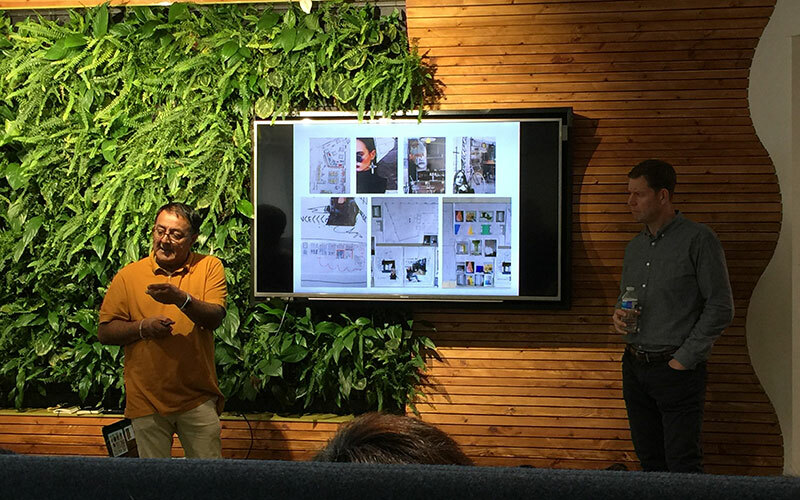 The vision for Manchester House was brought to life by Atul Bansal, co-founder of office interior design company The Sheila Bird Group, who shared artists’ impressions of the exciting spaces that would form the ultra-modern Mancunian workspace. Students were then taken on a tour of the site to see the transformation first-hand. Sections of the steel structure left on display will ultimately be sandblasted and decorated in an intumescent paint, brickwork on several walls was about to be sandblasted and sealed, and features such as the original lift shaft manufactured by local ironworks company Edward Wood & Co Ltd were prominent, serving to celebrate Manchester’s significant industrial history. Manchester House is typical of the mills and warehouses that enabled the textile trade to flourish. Their frenetic nature meant they were often referred to as ‘hives of industry’. In recognition of this phenomenon, students were handed badges depicting the ‘Manchester Bee’ as mementos. The symbol of the bee appeared on the Manchester Coat of Arms in 1842 and is now evident on much of the city’s architecture, as well as the current ‘Bee in the City’ public art trail.